News | 10 Nigerian Writers In Lebanon For 'SAIL' Project. Ten writers from Nigeria have arrived Lebanon to participate in this year’s exchange programme in Lebanon under the “Study Abroad in Lebanon (SAIL) project, holding from 14th to 24th, September, 2017 reports PM News. The SAIL project is a collaboration of the Cedar Institute of Lebanon in partnership with the Wole Soyinka Foundation, Nigeria. The participating writers include Adenle Oloruntoba, Rev. Sister Mary Aboekwe, Oladele Faji and Khalid Imam. Khalid Imam, one of the participating writers. 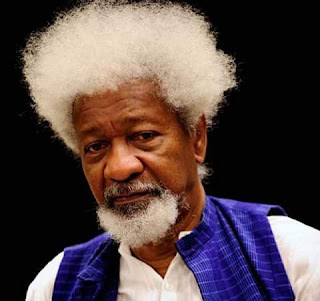 Others are Ms Salamatu Sule, Mrs Kassima Okani, Wole Adedoyin, Ms Blessing Christopher, Temi Soyinka and Christian Nayamali. The event which is the second edition in the series after the 2016 maiden edition, will have the writers undergo a rigorous course of eight hours interaction in 10-days with various faculties, guest lecturers and officially certified tourist guides at the Cedar Institute in Lebanon. 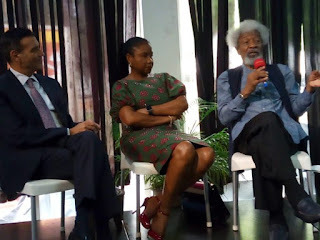 Earlier at a press conference in Lagos on Monday, Nobel Laureate, Professor Wole Soyinka explained that this year’s edition of the project has seen increase in the number of participants and called for partnership from government, corporate organizations and individuals to support the SAIL to get more writers onto the project. Prof. Soyinka and Dr. Jafaar at the press conference. The Facilitator of the Project, Dr. Habib Jafaar disclosed that participating writers would partake in intensive course programme to be co-taught by the faculties of Philosophy, Theology, World and Ottoman History and Art and Architectural History. He added that the course combines and fuses rigorous academic knowledge with first-hand experience of historical sites of global and regional significance, adding that It will focus on the historical foundation of Lebanon as a geopolitical strategic region that sets the stage for the rise of Phoenician civilization and to also examines its emergence as a hub of international trade of global significance, among others.